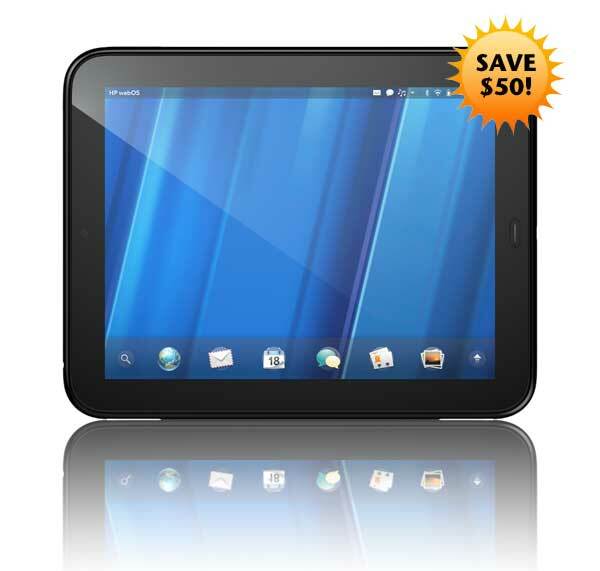 HP today announced they would providing legacy webOS owners the ability to receive a $50 rebate off the 32GB HP TouchPad. A proof of purchase of a Palm Pre, Pre Plus, Pixi or Pixi Plus is required. No, you can stack the offer if you’ve owned more than one. The rebate is good for pre-orders and reservations. HP promises to send an email with details of the offer. That is such a weak offer it’s insulting. One would be an absolute moron to buy any webOS device at this point. It’s deader than dead. WebOS needs a wider acceptance so developers and companies will write apps for WebOS as well as Apple and Android. I love my WebOS phone, but don’t know why I would need a tablet unless it had a lot of applications I could use it for (bigger screen, functionality, etc). HP will need to continue to market WebOS but I don’t think it’s dead on arrival, like the previous post. There are die-hard Palm/ WebOS users out there but don’t know how much longer we can hold out without wider acceptance. I don’t find the offer insulting, but then again I never expected much for my 2 year old Sprint Pre. It is what it is. My question is on the timing of all of this, so close to the launch and after pre-order. Do we have any indication from HP on when full details might be announced? I would hope before Friday, when I intend to go into BestBuy and buy the 16GB TP I have reserved but might instead ask for a 32GB if I qualify. And I do think HP does OWE us full details or a contact that we can talk to prior to Friday when sales begin. My uncertainty is I have not received any email from HP. I have sitting on my desk a now unused Pre minus, and am thinking that since my Veer is now the device on my profile I didn’t get the email. But does that mean I can’t use that Pre minus (that I still own and have in my possession) to get the discount?